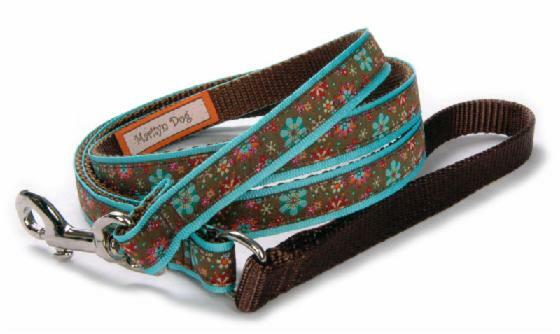 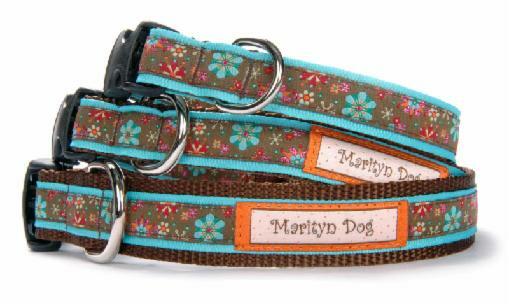 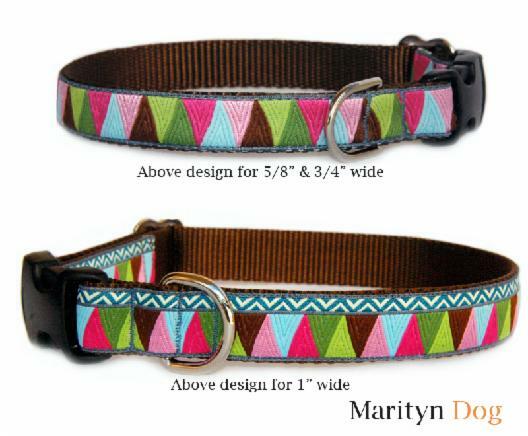 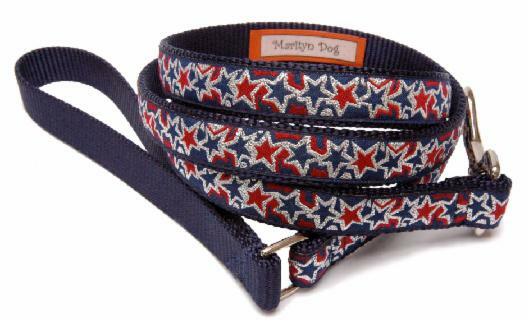 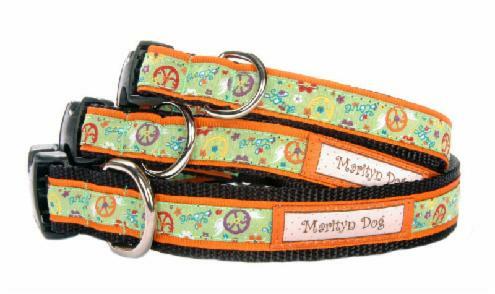 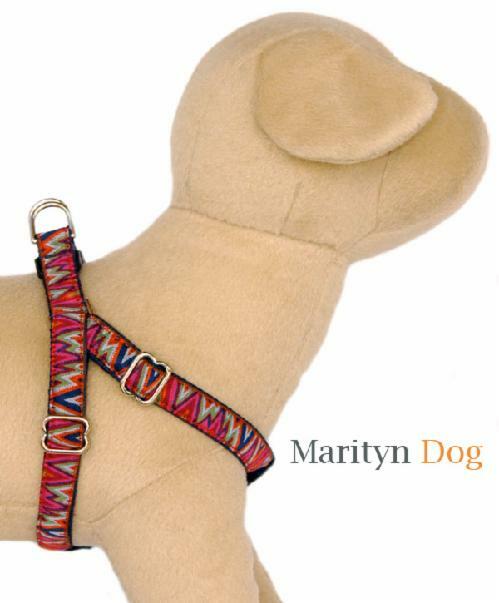 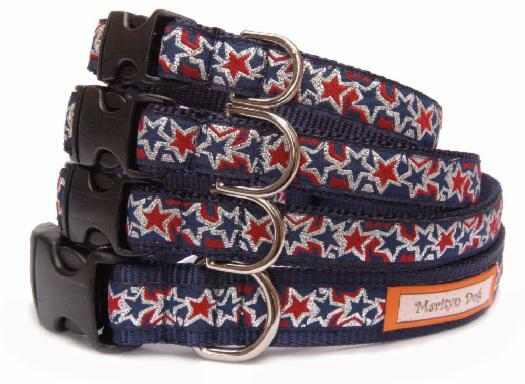 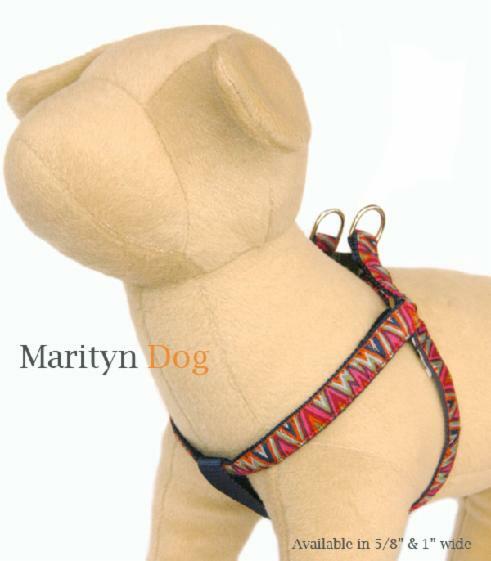 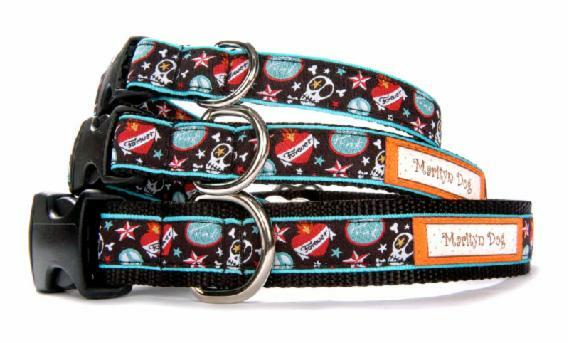 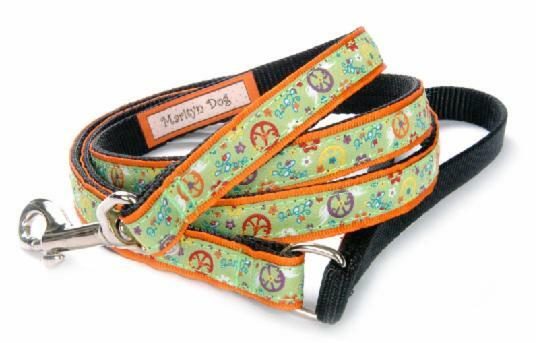 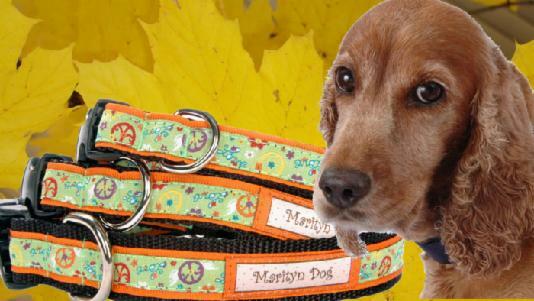 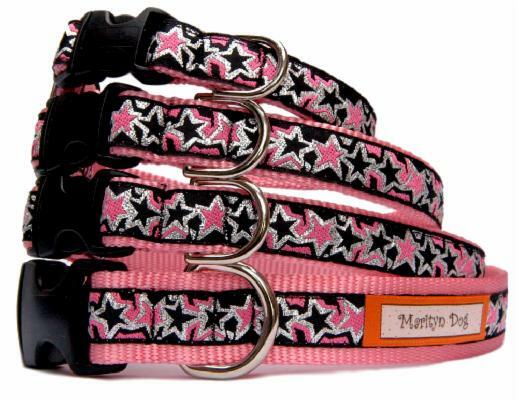 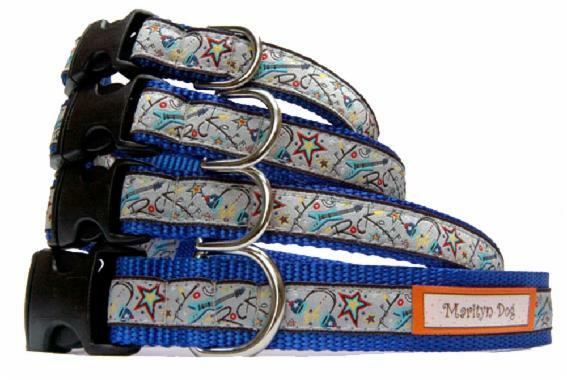 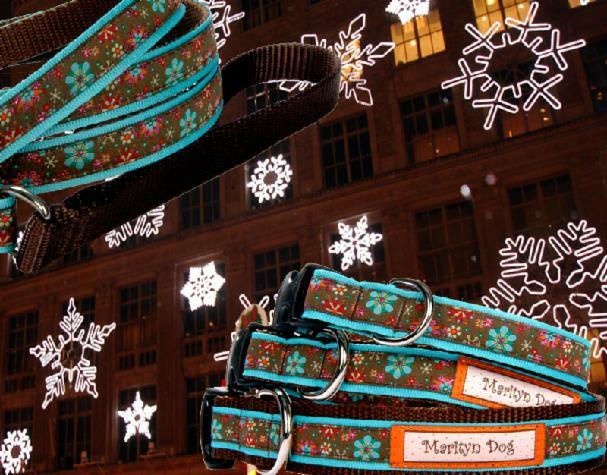 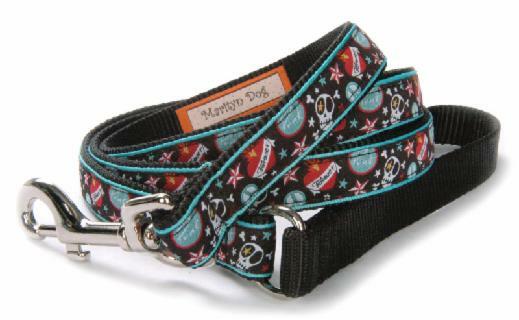 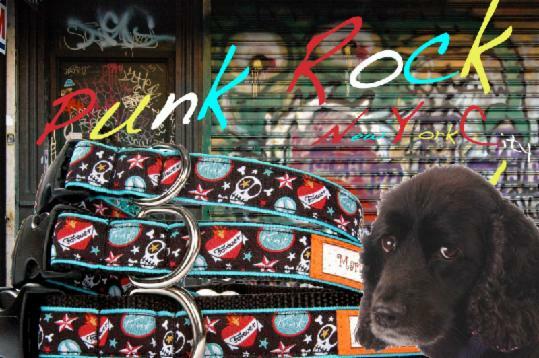 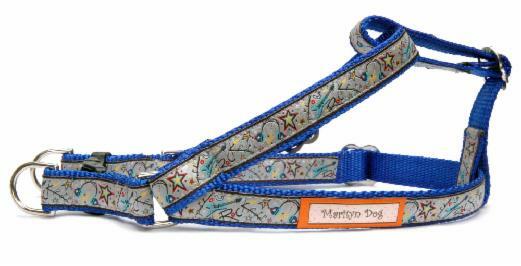 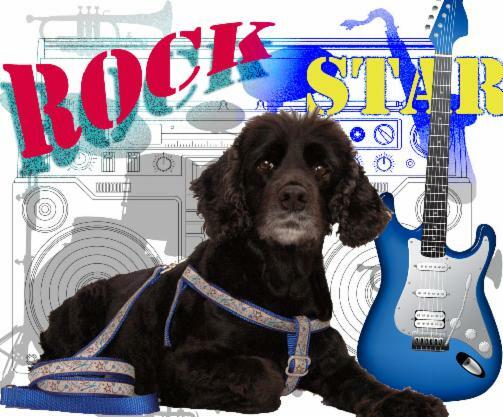 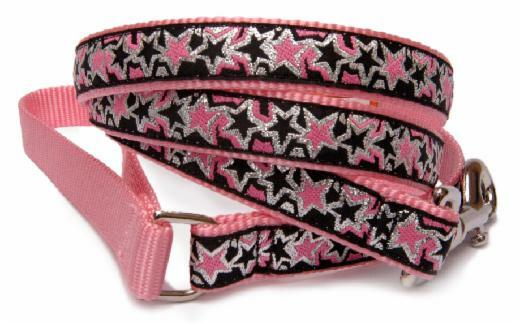 Dog collars, Martingale collars, step in harnesses and leashes. 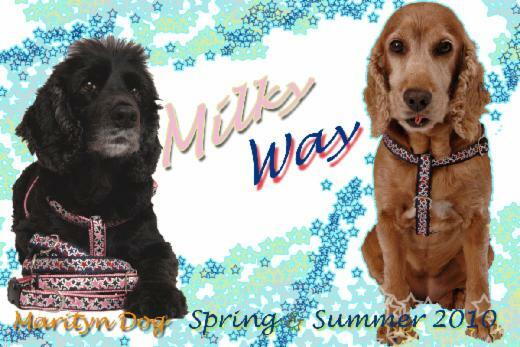 Rock star, Milky Way Pink & Milky Way Navy are the newest designs of our popular Jacquard collection. 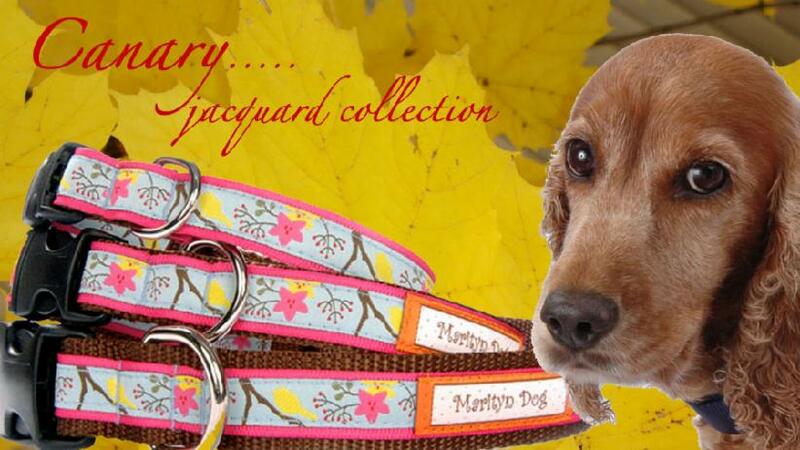 Most of these jacquard ribbons are designed by European designers. 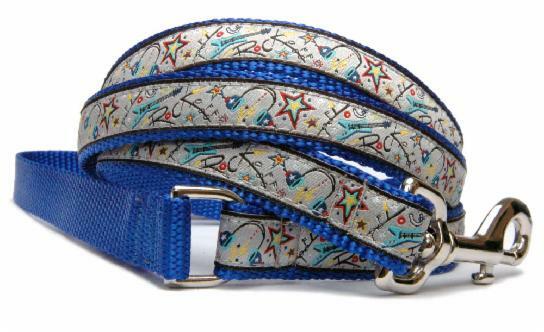 Very fine lines are weaved to make such beautiful and fun jacquard ribbon designs. 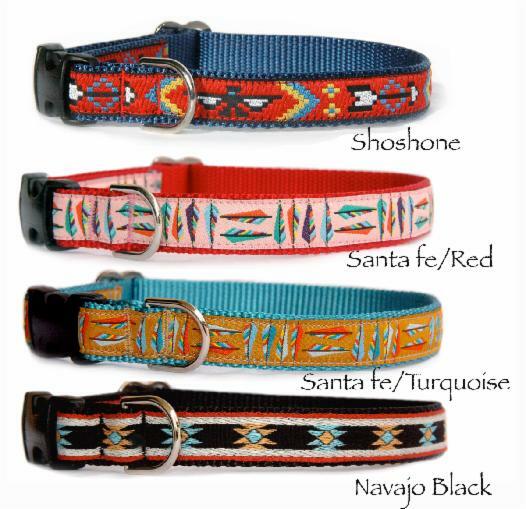 Lovely collars, harnesses and leashes are easy to care and variety of sizes and colors are available for all type of dogs. 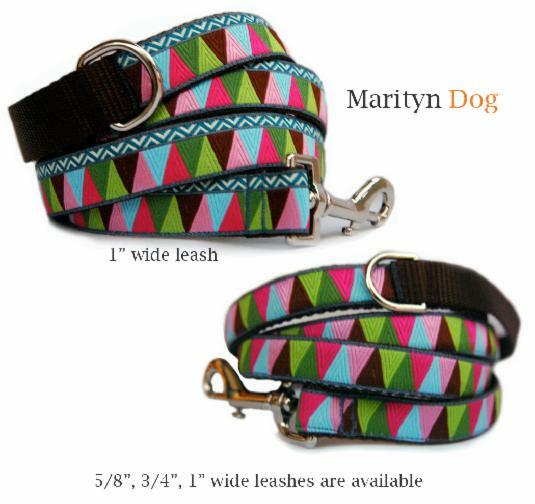 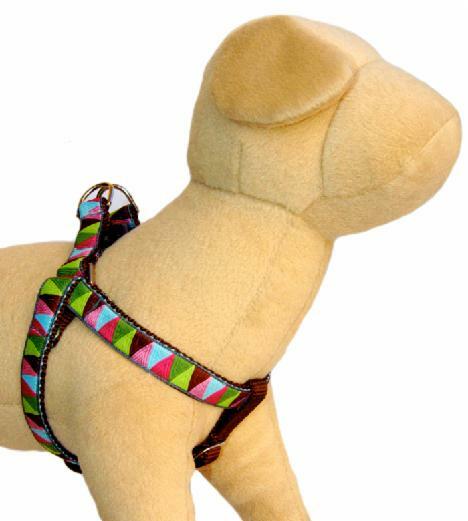 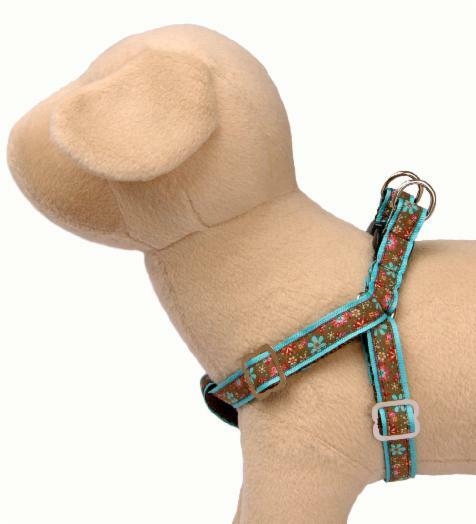 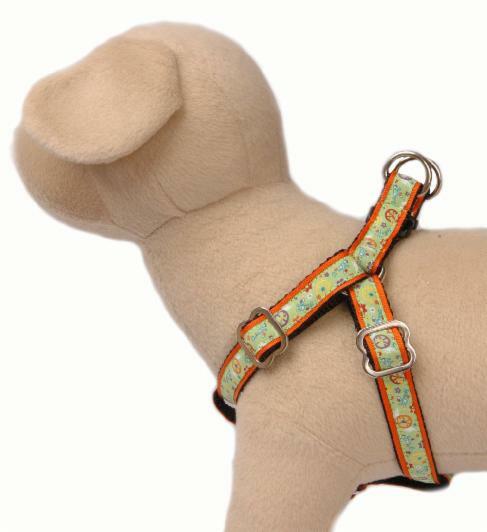 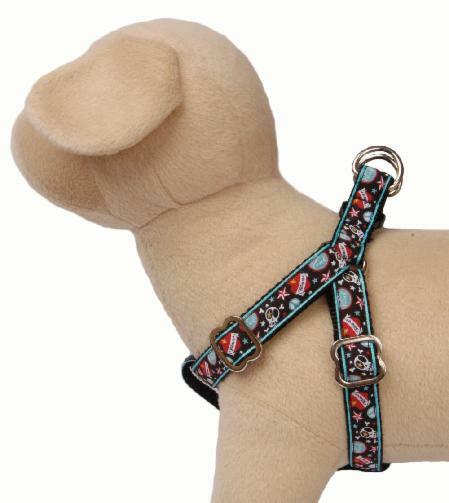 Made in the U.S.A.
6F long can be made as custom leash.